Wedding Videography Angela and Darren Same Day Edit Video – Romantic and Sweet Wedding – Vancouver Wedding Videographer Life Studios Inc.
With such incredibly sweet words to his future wife Angela, it was obvious that Angela and Darren share a true and sweet love. Life Studios Inc. was lucky enough to be there to capture this perfect summer wedding with the sweetest couple! The day began with traditional Chinese bridal door games (watch out for their adorable pug with the pink tutu skirt!) and then under beautiful sunny skies and with a backdrop of the sparkling ocean at Brock House, Angela and Darren promised their hearts to each other. A Chinese wedding banquet followed at Kirin Starlight Restaurant in New Westminster where the bridal party’s entrance set the mood for a fun night. Throughout the day as we captured Angela’s and Darren’s romantic wedding, it was apparent from all the intimate moments they shared that they are truly in sync. May your future together be as happy and sweet as your wedding day Angela and Darren! 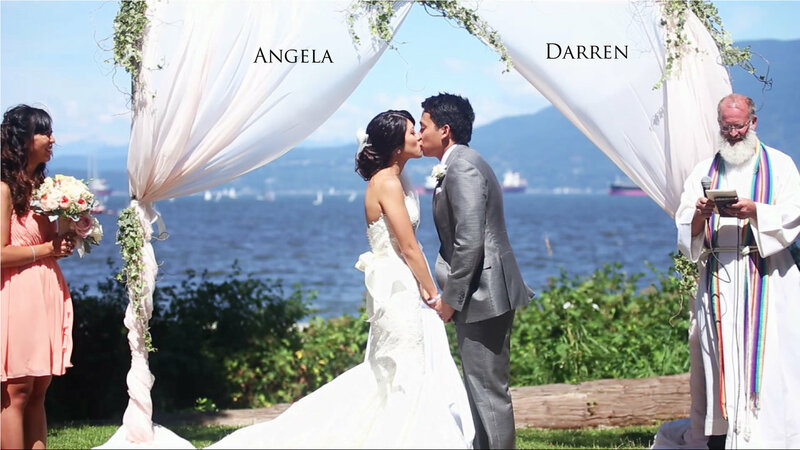 Celebrate love and joy and you watch the Wedding Videography Angela and Darren Same Day Edit Video!